Having escaped the clutches of the sadistic French pirate, Julien Levesque, young Jezebel Johnston and her companions, Walter Armitage and Pakke, throw their lot in with the inexperienced captain Emile Gagnon and his crew. Fleeing in his speedy sloop rechristened Sea Witch, their audacious plan is to recruit additional sailors and raid the pearl rich islands beyond Port Royale. But to do so they will need to avoid the larger pirate ships relying on stealth and cunning. If they succeed, a treasure beyond imagining awaits them. If they fail, a cold and watery grave. 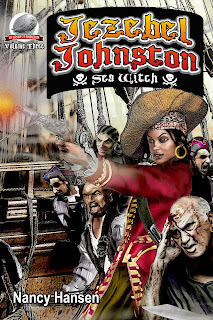 Once again Nancy Hansen sets a course for action and adventure with pulpdom’s newest, most daring hero, Jezebel Johnston, pirate maid. Award winning Art Director Rob Davis provides the interior illustrations and Laura Givens a stunning, action filled cover. 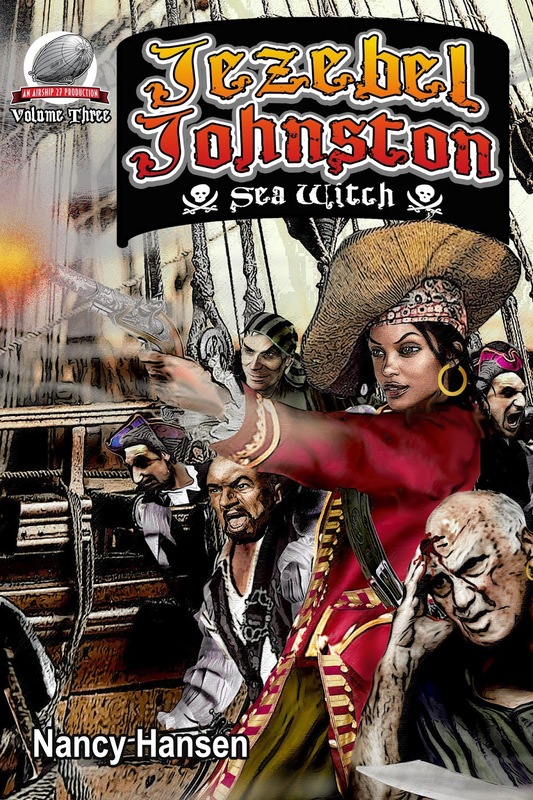 “Jezebel Johnston – Sea Witch” is a seagoing pirate tale filled with colorful rogues and a lush, historical background. Soon to be an instant pulp classic.